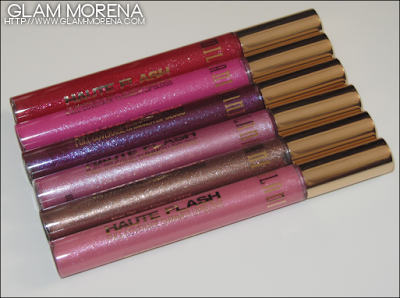 Glam Morena: Swatches: Milani Haute Flash Lipgloss. 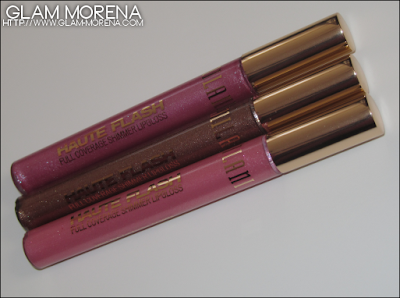 Swatches: Milani Haute Flash Lipgloss. Milani has so many new products and shades for 2012 and I'm going to be featuring all of them on my blog. Some of the posts will contain just swatches and some will be reviews. 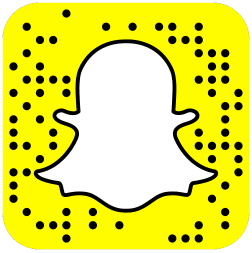 Be sure to be on the look out for more posts featuring their new products! The first product I'm going to post about are the Milani Haute Flash Full Coverage Shimmer Lipgloss. There are a total of six shades available. Description: Full coverage, electrifying pigmented color, Extra glossy shimmer finish, Non-tacky, anti-feathering formula, and Flexible soft sponge applicator for easy application. The Milani Haute Flash Full Coverage Shimmer Lipgloss are definitely for those who enjoy wearing fun, vibrant colors. They are more of a liquid lipstick to me than a lipgloss. The texture is very similar to that of a liquid lipstick. It's more on the thicker side. I really like the vanilla scent that these have as well. They have a metallic, shimmery finish. It gives your lips a "foiled look" to it. 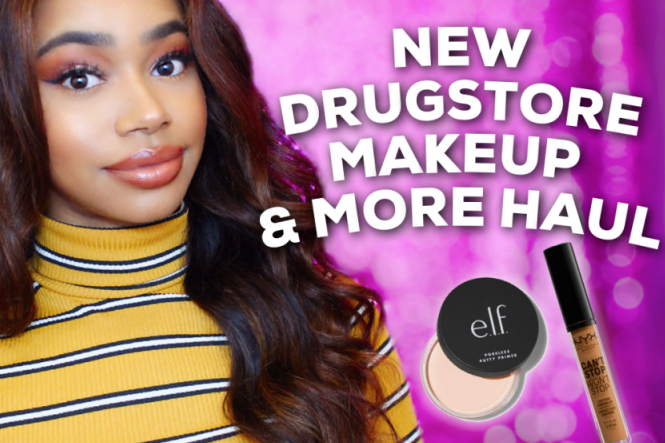 They have full coverage and are highly pigmented. They are frosty, so for me I only apply them in the center of my lips. Even though my lips are already pouty, it gives it more of a pout. You can wear them alone, you can apply a gloss over them, or you can wear them on top of a lipstick. 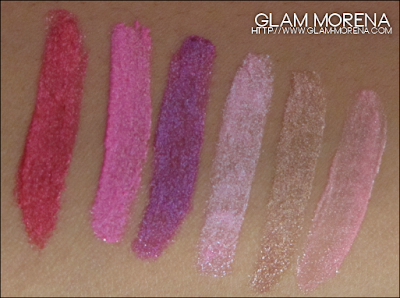 Swatches of the Milani Haute Flash Full Coverage Shimmer Lipglosses! 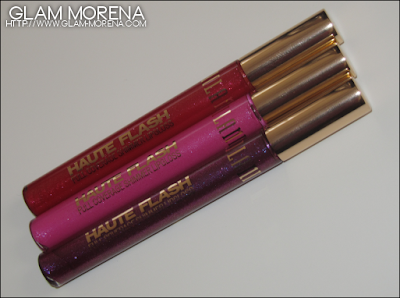 Do you own any Milani Haute Flash Lipgloss? Thoughts? Favorites?